Teaching in a New Era- What Do We Know About Using Technology in the Classroom? Join us this year at the annual WECA Conference to hear from keynote speaker Lisa Guernsey as she gives insight into 21st century learning opportunities. Back when I was an early childhood educator, “technology” was used to refer to things like the classroom typewriter, boombox and disposable camera. These items were interactive by nature and students usually used them in collaboration with others. There wasn’t ever a time where my co-teacher and I had to think critically about if they played a valid role in our classroom. Fast-forward a decade and as a director, this topic was much more complex in our field. The advancement of interactive screens posed a whole slew of unanswered questions for me: Can this technology help teach new concepts? How is it going to create or hinder relationship? What about creativity and risk taking? Does digital media encourage a sedentary learning environment? As my team and I worked through a decision to possibly purchase iPads for the classrooms, it was difficult to know where to begin. I brought our concerns to our licenser, our city accreditor and fellow directors in the area. In the end, I couldn’t gleam a consensus as to whether this was going to support learning or create havoc in our classrooms. After months of debate, we took the plunge and purchased the iPads. To start out, we practiced caution and used the new device in ways that emulated older technology; we took photos, listened to music, wrote letters and drew pictures. Slowly we experimented with language apps to help communicate with new English language learners. We added a three-dimensional design game that utilized the camera technology to copy in real time what children were doing with tangrams in front of the screen and then added movement to it on the screen. Our teachers learned by experience that it was essential to experiment with a new game or app on their own before introducing it to the students (not everything out there is DAP or otherwise appropriate). Even though we could find some interesting activities to offer our students on the iPads, there were still a lot of concerns about the valuable time they ate up during the day, both teacher prep time and student engagement time. By now electronic media has been around long enough that studies have been done to assess all types of ways that it can affect developing minds. Recently, the American Academy of Pediatrics released a report stating that excessive use of digital media can lead to an increase in body weight as well as sleep and cognitive delays in young children. They urge that children under the age of two only be exposed to screens while using video chatting with loved ones and for older children, a limit of an hour or less per day. Now that we know this, new questions arise. If children are experiencing screen-time at home, can we justify including it at school too? In addition, what we’re also learning is that time limits are not the only thing to keep in mind when using digital media. Not just time limits- it’s about the quality of the content and how it relates to your student’s life experiences. Cooperation – using technology should bring students and educators together, not signal isolation for the child. Think positive- use smartly vetted resources that can support healthy social emotional development. Representation – it’s your duty to make sure that your choice of games, apps, digital stories etc. for your students show images that represent all your students. Your students will look to them for confirmation that who they are matters. Encourage creativity- students can use media to document, tinker and develop new ideas. This fall WECA welcomes Lisa Guernsey as the keynote speaker for the 2018 Wisconsin Early Childhood Association annual conference. She is the deputy director of the Education Policy program and director of the Learning Technologies project at New America. She has researched and written extensively about the use of digital media as an educational literacy tool, what she calls a “21st-century literacy opportunity” and has two thought-provoking books to show for this work. I truly believe that quality early childhood education has the means of creating a more equitable and bright future for all children. Being an educator in the 21st century requires expertise in a vast array of developmental domains. We also must be able to collaborate with families, the greater community and additionally be aware of our social justice responsibilities. Part of this is asking those tough questions about anything introduced into the classroom and we need to have solid resources to guide these decisions. Please join us October 25-27th to go in-depth with concepts related to learning with digital media responsibly in your classroom. Thursday, October 24th at 7:00 pm – Screen Time: How Electronic Media—From Baby Videos to Educational Software—Affects Your Young Child. This is a community-wide event and Lisa will speak through a parenting lens when addressing digital media and children. Friday, October 25th 8:30 -9:30 am – Lisa will kick-off the 2018 Annual WECA Conference as our keynote with Tap, Click, Read: Growing Readers in a World of Screens. Friday, October 25th 9:45 – 11:45 am – Go in-depth with Lisa Guernsey in this after-keynote breakout session. Donohue, C. & Schomburg, R. (2017, September). Technology and Interactive Media in Early Childhood Programs. Young Children, 72-78. Summer is finally here! The days are longer and the sun is warmer. The barbecue is on and friends and family play outdoors. As you savor the changes I encourage you to weave reading into your summer days and nights. The children in your life will benefit so much. Babies love to read. So do toddlers. 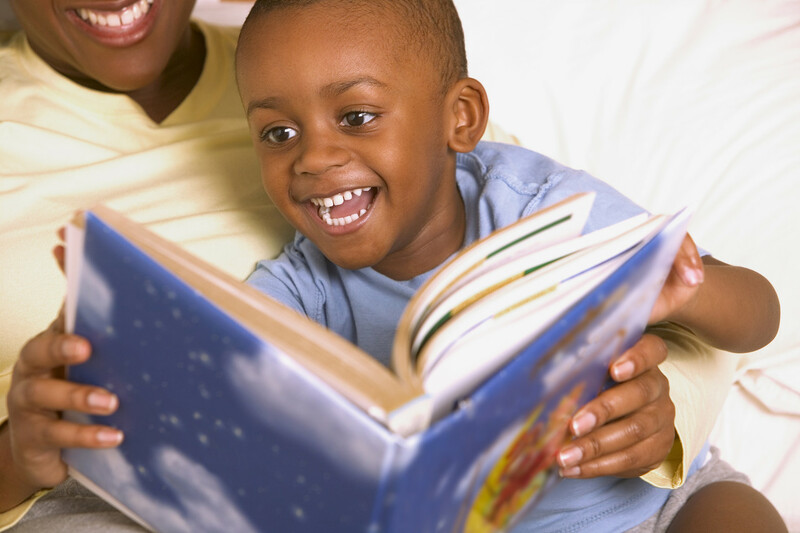 “Books build better brains” says Reach out and Read and their web site has simple yet powerful ways to foster the habit of reading with even the smallest child. Reading aloud helps children acquire early language skills, develop positive associations with books and helps children build a stronger foundation for school success.